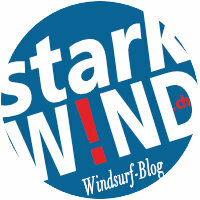 Foil Windsurfing - surfloops Webseite! The is result of over 6 years of development with foil master Bruno Andre of AFS France, one of the premiere foil brands in the world. This sail is extremely high aspect, has a very tight leech and develops extreme power for lift off and then is easily controlled when up on foil. With a long luff and short boom the wing like outline is similar to sails and wings used of high performance foil sail boats. The tight leech not only provides giant power in very little wind, it also allows the sail to be controlled by sheet angle not twist like modern windsurfing sails. Very quick to rig up and light in the hand, there is really no other foil sail on the market with such specific performance for foiling.